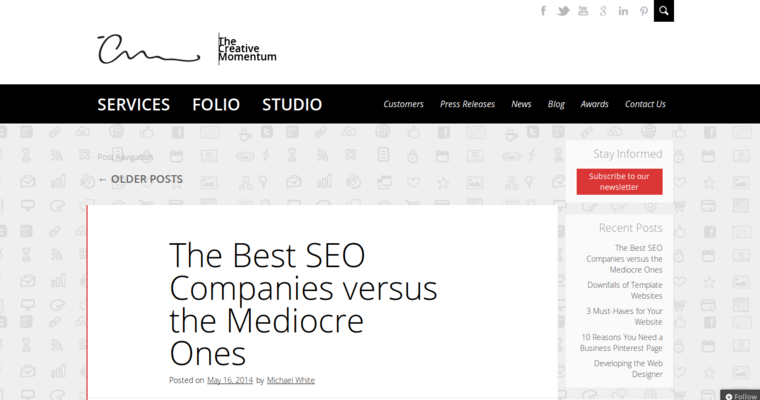 The Creative Momentum is a corporate web design firm that's located in Roswell, Georgia. First and foremost, this web design firm focuses on user experience. This allows each user to have a great experience while visiting a website. In turn, this allows corporate clients to have websites that best reflect their brand. This firm helps ensure that clients have all aspects of website creation taken care of including design, testing, branding, and video integration. 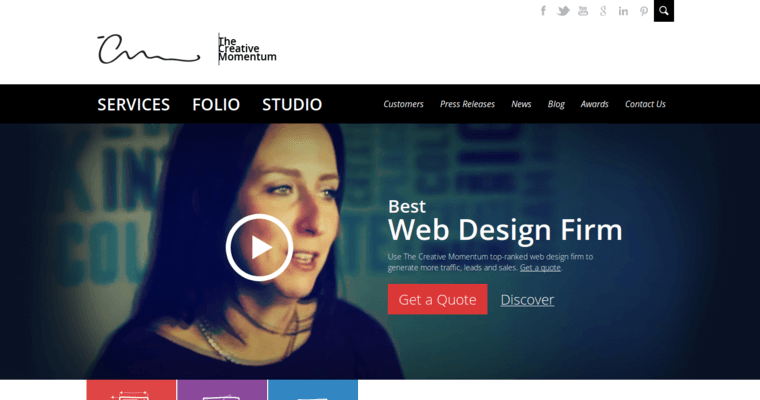 The Creative Momentum offers writing services to ensure that each client has engaging content. 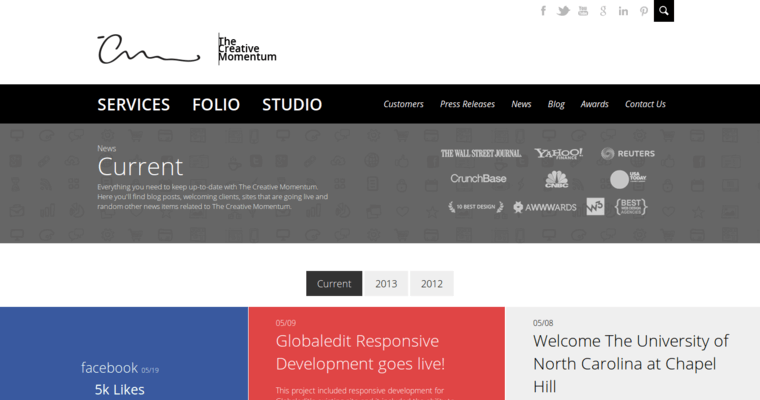 If you're looking for a complete web design package, consider contacting The Creative Momentum.